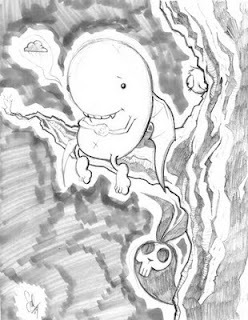 The Tanoshiboy Chronicles: Design & Illustration Blog: Nothing worse than a sad lima bean. Nothing worse than a sad lima bean. P.S. If you can tell me the name of the 80's Disney cartoon that where the characters were animals who were made up of two animals, you can have this sketch.